This Week's Special: • Use promo code "CLEAN" to receive 10% off any service! Grout Genie Carpet and Tile Cleaning has a team of experts that are trained professionals at cleaning in both home, office or commercial settings. We know your home is a valuable asset, and we believe it is worth maintaining well. We take pride in treating your home like we would treat our own – with care and respect. Grout Genie Carpet and Tile Cleaning technicians use a truck-mounted cleaning system that is better than using a portable machine. A truck-mounted system can maintain higher water temperatures and therefore eradicate more bacteria. A truck-mounted system also provides better water pressure, increased suction resulting in the cleaning solution being completely rinsed out. We start by being responsive to your scheduling needs and respectful of your time. Our normal operating hours are 8:00AM to 5:00PM Monday through Friday. Visits are scheduled at your convenience to begin within a small arrival window. Thus, you don’t have to worry about spending all day waiting around for us while wondering when we will be coming. It all starts with good communication, which is why we offer free, in home estimates for all of our services. We want you to know what kind of results you can expect and how much it will cost before we begin a job so that there are no surprises. While at the job, we take extra care to communicate effectively with you in order to provide you with the best possible level of service. We believe that this honest commitment to customer service in combination with top-notch technical skills allows us to serve you in a way that is guaranteed to exceed your expectations. In MP Service Group we are experts in commercial and residential cleaning and make your property look its best inside and out. Services that we provide are: Carpet Cleaning, Pressure Washing, Soft Washing, Floor Care, Tile & Grout Cleaning, Roof Cleaning, Upholstery Cleaning, Marble Cleaning and Restoration, General Maintenance. Our services are guaranteed so we always work and do our best to keep you satisfied with the results. At M.P. Service Group, we understand the importance of 24/7 support. We service clients at all hours of the day and night, whenever it is most convenient for them. 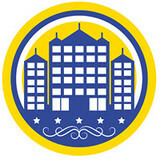 For 15 years MP Service Group has been a global leader specializing in residential and commercial cleaning. Our success comes from our commitment to a hands-on owner-operated approach to service at competitive prices. UCM Services Miami is your source for professional carpet cleaning in Miami. We offer a full range of professional cleaning services at competitive prices, with convenient scheduling available, seven days a week. We are happy to take care of all of your carpet and upholstery cleaning needs, with a 100% satisfaction guarantee. Welcome to Rugsies North Miami location, where we’re dedicated to bringing all of Miami cleanliness, comfort, and happiness to all the rugs and carpets throughout your home. From the most detailed oriental rugs to floor-to-sky-high curtains, our North Miami team is staffed with certified technicians that specialize in all your carpet, rug, window treatment, upholstery, and air duct cleaning needs. Our commercial division is ready at handling large spaces and quantities. If you're lucky enough to own a yacht we even offer yacht cleaning services too! When we even arrive at your home in Miami we bring with us the Rugsies’ guarantee. We protect against fabric shrinkage as well as damage and loss of sizing resins. 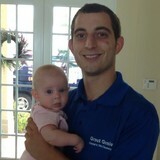 At Rugsies North Miami we not only whistle while we work, we always wear a friendly smile from start to finish. How’s that for a guarantee? Contact our center today to see how we can make your home feel fresh and new again. 24/7 live calls, at your door in an hour or less. Direct insurance billing, free estimates. Serving you since 2005. Since 2005, we have serviced Florida with Water Damage Restoration, Mold Removal, Sewage Extraction, Fire/Smoke and Damage Restoration Flood Clean Up Services 24 hours a day, 7 days a week. Hence, the name, First Call 24/7. With an instant response, prompt action, years of experience, and a highly qualified staff, we are specialized to help recover and restore your property. We also offer contents repair and cleaning and have a large storage facility to safely house your belongings. Most often, restoring contents is less costly than replacing them. 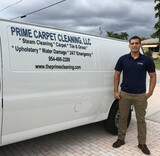 Me and a friend started this business in his garage with one portable unit with hard work and happy customer now we have5 truck mounts vehicles covering the entire Broward County area we make sure customer satisfaction is our main goal..
Green Carpet Cleaning Weston is a full-service cleaning company. Certified technicians provide truck-mounted steam cleaning. This organic system removes dirt, grime, dust mites, allergens, and bacteria from the carpet in a toxic-free method. The hot water extraction system removes mold, mildew, and animal dander. Our Green Carpet Cleaning also provides cleaning services for upholstery, area rugs, mattresses, tile and grout, drapes, leather and suede surfaces. The professionals at Blue Stream Carpet Cleaning and Restoration take pride in delivering top quality service to every client we serve. Whether you need cleaning services or restoration you can be sure that the job is done right the first time. We know our customers expect open communication, attention to detail and an experienced team that is committed to provide a clean and organized project that delivers quality results. Cleaning and restoration are important services we provide to keep our homes protected and looking brand new. We take care of everything from helping you make the most educated decisions for maintaining your floors throughout the years of wear and tear. Rug Cleaners Ft Lauderdale Area Your Effective Cleaning Mate Introducing our reputable cleaning approach, Carpet Cleaning of Fort Lauderdale is providing an array of deep cleaning services for rugs, customized to lift any kind of stain and match any budget range. We provide carpet cleaning with exceptional caliber while improving and increasing the elegance of well-known Oriental rugs and other rug types. UCM services Boca Raton specializes in a wide range of residential and commercial cleaning services. Among the things we clean are carpets, area rugs, upholstery, air ducts, tile, hardwood floors, and more. We also specialize in cleaning boats & yachts. With almost 10 years of experience, we can offer our customer solutions for any cleaning problem,whether it is a a full blown crisis that needs solved, or just a touch up. We specialize in allergy treatments that benefit asthma patients, removal of pet stains and odors, water damage restoration, and cleaning and maintaining boats & yachts. Top-quality cleaning services provider for home & office requirements throughout Pembroke Pines, FL and surrounding areas. We bring the shiny result to your carpets, oriental & area rugs, upholstery, tile & grout, air ducts, etc. In addition, we provide odor removal and water damage restoration services. Call us right now for more info and schedule an appointment. 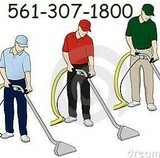 UCM Carpet Cleaning Miami is your complete cleaning service in Miami, FL. We clean carpets, boats, rugs, air ducts, water damage and more. Call us now. What should I look for in a local Pompano Beach carpet cleaner? Not all Pompano Beach carpet cleaning companies use the same methods, but there are a few common things that they should do to for a quality job. Make sure they do an analysis on the area you need cleaned and recommend the best course of action — are there large stains or high-traffic areas that need extra treatment or attention? Also, make sure they provide quick drying times so that you can be back in your home faster; that means hours, not days! A good carpet cleaning service in Pompano Beach, FL should move furniture (within reason) and put it back in place when they are all done; don't let them charge extra to do this. Another important factor to look out for is whether or not the carpet cleaners use chemicals, and if so, they should be asthma- and allergy-friendly. This is especially important for households that have children or pets. Lots of Pompano Beach carpet cleaning services also clean rugs. Rug cleaning can involve anything from a simple wash to complete re-weaving or foundation work. Make sure the local rug cleaner you choose has experience with the types of rugs you need serviced, especially if they are hand-woven or Oriental rugs. What should I look for in a local Pompano Beach upholstery cleaner? Upholstery comes in many more varieties than carpet and rugs, thus needs cleaning tailored to each specific blend. Even if you don’t know what material your sofa or chair is made with, a good upholstery cleaning service in Pompano Beach, FL will be able to identify it and treat it appropriately. Some textiles require dry cleaning and that can’t be done in home, so if that’s the case, check with the upholstery cleaner and see if they offer pickup and drop off services. Leather cleaning is a bit different and often involves more restoration and conditioning than actual cleaning. Make sure the Pompano Beach furniture cleaning service specializes in leather if you are considering them for the job. How long have you been in the carpet and upholstery cleaning business? Find Pompano Beach upholstery and carpet cleaning services on Houzz. Narrow your search in the Professionals section of the website to local carpet cleaners in Pompano Beach, FL and read reviews and ratings to find one that fits your needs.